We know it’s Christmastime…when we hear the sound of crashing jingle bells. 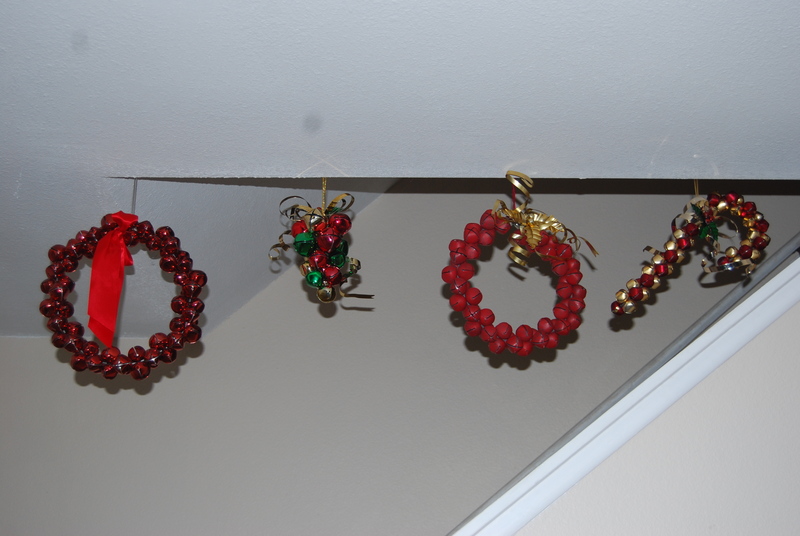 We hang jinglebells along the stairwell for easy whacking as we go up and down. Not surprisingly, PinkGirl does the most whacking. Sounds of the season. We had some for the front door knob, but they broke. This post may have prompted their replacement this year. ← mistake? or unprepared? distant? or vulnerable?